Social media is a goldmine if you want to draw new traffic to your website. Get your current audience to share your content, and you can build a steady stream of visitors with every new post. That said, I know actually getting audiences to share can be a challenge – even with great content and a high-traffic site. 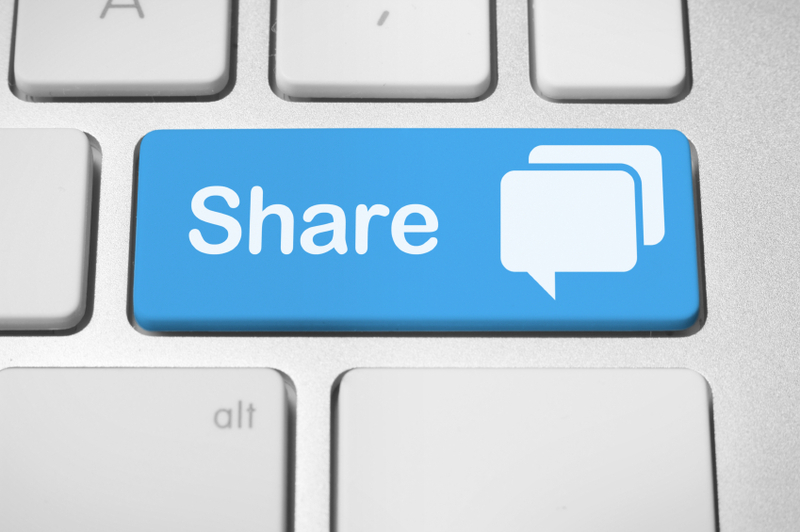 Use these six tips to encourage your readers to share your blog posts on social media. Here’s an important thing to remember with your blog audience: Just because they like your content doesn’t mean they want to share it. “X ways to do this or that” is a popular, easy-to-consume content type. But for the most part, it doesn’t make good social sharing fodder. According to research by the New York Times, 84 percent of people share content on social media to support causes or issues they care about. Your content may be helpful or even entertaining, but if it taps into something more personal, people are much more likely to share. Pay attention to current events that people are likely to have an opinion about. Set up a Google Alert for news that affects your industry, and jump on these opportunities to cover newsworthy topics. And don’t be afraid to argue a point. Take a position on something, and people will share because they agree (or because they disagree). Asking your readers to copy and paste your post link into Twitter is too much to ask in this day and age. Remove any barriers that keep readers from sharing your content by using social sharing plugins. A lot of them are free. A lot of these plugins offer tracking and analytics that can help your monitor your social media marketing efforts as well. You can use Click to Tweet or a similar widget to make it easy for readers to share excerpts from your blog post while they read. Click to Tweet makes a prominent, attractive box highlighting whatever sections of text you choose. You take the time to set it up, then all your readers need to do is click to share your post and the quote. Just make sure you select passages of text that engage. Create a Click to Tweet box about something intriguing, and your readers can use it as a conversation-starter on Twitter. You probably already know from your own social media marketing efforts that visual content gets way more engagement. In fact, Facebook posts with images see 2.3 times more engagement and tweets with images get 150 percent more retweets than those without. If you have great images to go with your post, your readers will be more inclined to share as well. You can go all-in and create an infographic, or make your own funny GIF to go with the post. Next, you can use an image sharing plugin to encourage readers to share the images. For starters, there’s the Pinterest Pin It Button plugin. When your readers hover their cursor over an image in your post, they’ll see an option to Pin it. There’s also Sumo Me Image Sharer, a paid option that does the same job, but integrates with Twitter, Facebook and Yummly as well. These metrics can serve as “social proof” – evidence that other people found your content interesting and valuable. Seeing how popular your content already is will encourage new readers to share. But tread carefully here. If your post doesn’t have a lot of shares, that could come off as negative social proof and discourage your readers from sharing it themselves. So if you’re going to use this feature, make sure your plugin has options to toggle social sharing metrics on and off. When your post is fresh, just show your social sharing buttons. Once it starts gathering steam, then turn on your social proof to encourage more shares. If you have a great piece of cornerstone content, you can also send out a message to your e-mail list, highlighting the post and asking them to share. But if you’re going to go this route, I recommend going all in and targeting your brand advocates. Use your e-mail marketing analytics to see who already interacts with your content the most. Create a segment, and then send them a personalized message asking them to do what they do best – share your content. It can be hard to predict your blog audience behavior. But put these tips into action, and your readers will definitely be more likely to share your content.